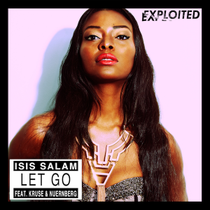 Isis Salam has hooked up with German duo Kruse & Nuernberg to release 'Let Go'. The track translates to video well and this is Isis’ dance evolution, complete with two Tasmanian dancing devils. Taking Berlin’s backdrop as a starting point for their flow they move through the streets and stores of the German capital. The video features a brief cameo appearance from Kruse & Nuernberg who, like in real life, keep the music rollin’. Nigerian born, Toronto raised MC Isis Salam was initially propelled into the spotlight back in 2008 with Thunderheist, an electro-rap duo, who brought a singular sound to the electronic music scene that became Isis’ focus. This then lead to the opportunity for Isis to collaborate with musical heavyweights Tyree Cooper, Pharell Williams and Junky XL. In 2009, break-through performances with Noreagaon on Jimmy Kimmel Live and Perez Hilton’s SXSW Showcase, supporting Kanye West, launched her further into the spotlight. Isis demonstrates her versatility not only being a vocalist, she is also now being recognised as a producer in her own right. Her live set opens with deep-breathing, bass-heavy house then morphs into nu-disco before growing into a full-blown party. She is accompanied on stage by DJ Eluize, who controls the knobs and decks. 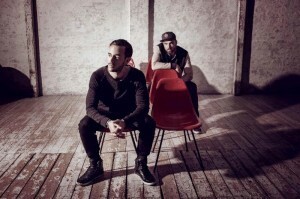 Florian Kruse & Nils Nuernberg were both born and raised in a rural area near Hamburg, and embrace the new breed of German artists who create bass-heavy, disco inflected house music, propagating a certain excitement and energy. Check the video out below, it’s out this week.